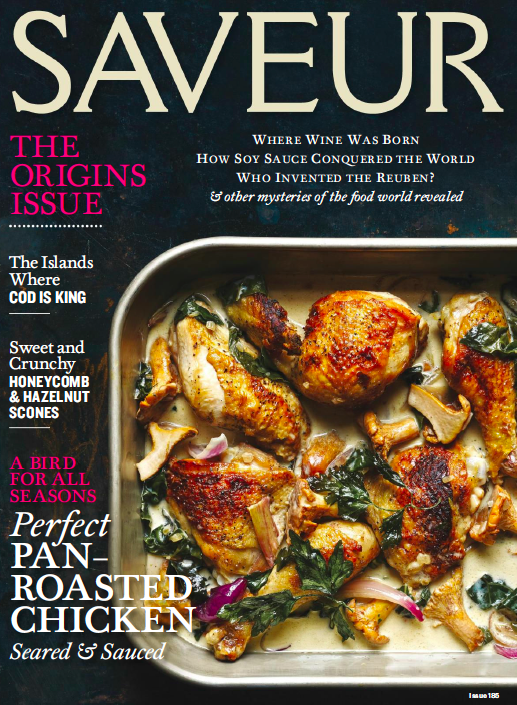 Saveur is one of my favorite magazines out there — they do such a great job of covering food and travel in a literary way — and I wrote this feature on Durban’s Indian food for its Origins issue, on stands now. The issue dives into the root of beloved food staples like vanilla, soy sauce, and the Reuben sandwich, and the tagline to my “Eating Bunny Chow in Durban” is “How South Africa Got Its Indian Accent.” I’m also taken by the photography, by David Crookes and Nicola Jackson. Find it in the September-October issue, or read it here. Update: This story won Gold in the category Culinary-Related Travel in the Society of American Travel Writers’ Lowell Thomas Awards, as well as Outstanding Arts and Culture Reporting in the South Asian Journalists’ Association Awards.